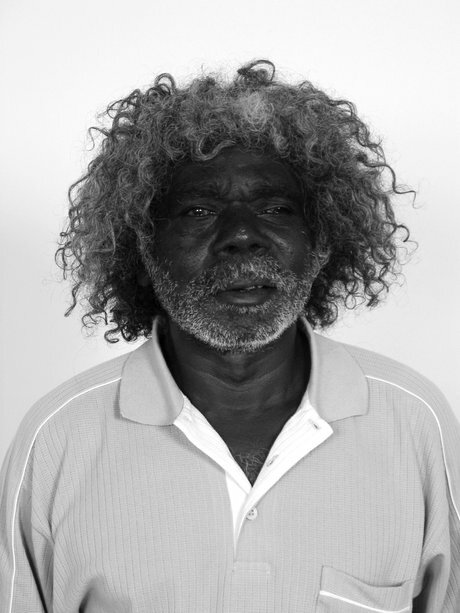 John Bulunbulun lived with his wife’s family at Wurdeja, not far from the Blyth River in the Northern Territory. He was a member of the Ganalbingu clan, and one of the most important singers and ceremonial men in the northern part of central Arnhem Land. His traditional homeland lies in the Arafura Swamp area. 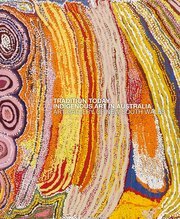 Taught painting by his father, Bulunbulun painted continuously since 1970, having his first solo exhibition at the Hogarth Galleries, Sydney in 1981. He received considerable publicity in 1989 when he took successful action against a Queensland T-shirt maker for illegally reproducing one of his works,a landmark case in Aboriginal intellectual property rights. Guwaynang, the long-necked freshwater turtle, is an especially important animal in the cosmology of Bulunbulun’s home-land and was the artist’s own spiritual emblem. Journey of the Guwaynang , 2000, depicts three guwaynang travelling across their country. These animals have a number of simultaneous identities: in different stories, they are male, female or sisters. The Guwaynang story is also analogous to the more widely known ancestral history of the two Djang’kawu Sisters, who created much of the landscape in eastern Arnhem Land. In Journey of the Guwaynang, Bulunbulun refers to the ancestral sisters travelling through country that contains two water-holes, shown as black circles. The bottom half of the painting refers to Bulunbulun’s own Ganalbingu country, where the sisters began their journey. The thin yellow bar across the lower section represents a log at a place called Junggibarparnyamurru, which the Ganalbingu people consider to be extremely sacred. One of the sisters, shown as the yellow turtle, went on to create the country belonging to other Ganalbingu-speaking clans; the other sister created the Wurlaki-speaking clans and their country. The differences in colour and pattern of the three turtles reflect the changes in language that the Sisters instigated, and the black lines framing each turtle refer to their tracks. The turtles are depicted against a background of crosshatching and fine stripes, both wavy and straight, representing water grass. This painting displays Bulunbulun’s distinctive use of white pigment and his individual style of crosshatching, which creates an overall shimmering effect.